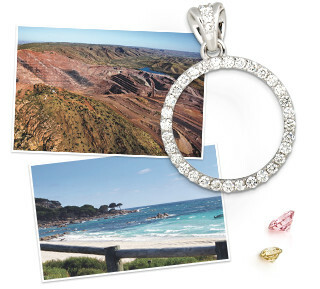 Our stunning and original jewellery designs are a reflection of our extraordinary Western Australian landscape and it’s awe-inspiring beauty; from pristine white sands and soft turquoise waters, the magnificence of age-old forests in the South, to the humbling rawness of one of the world’s last true wilderness areas in the Kimberley region of the North. The Nina’s journey started in Kununurra in 1965 with a vision of creating unique pieces from the marriage of master jewellery designers and the brilliance of diamonds, pearls from Broome and the South Seas and Western Australia’s own pure gold. In 1984 we were honoured to set the first diamonds mined in the remote Kimberley region at the now famous Argyle mine. It was the start of a relationship that continues to this day. 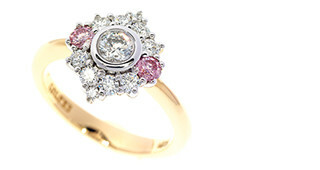 Nina’s is one of a handful of Argyle Pink Diamond Select Ateliers in the world. We now have a Nina’s showroom at either end of Western Australia, one in the stunning coastal town of Dunsborough and the other in Kununurra, staying true to our heritage and connection to the Argyle mine. Take a look through our collections and you will appreciate why we've won major Jewellery Association of Australia awards for excellence in craftsmanship, innovation and design. You will also enjoy an unforgettable service experience. We take great pride in the design and crafting of our jewellery, understanding just how important it is to find that perfect piece to reflect your personality, or to make the right statement. We want to make sure you find exactly what you want, to show just how much you love them, to take their breath away. Nina’s use only the best quality natural materials, crafted with skill and guaranteed to make a statement. 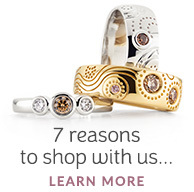 This ensures you can shop with confidence for jewellery you will love.